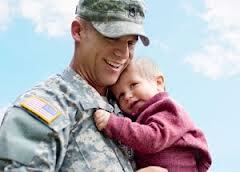 VA mortgage loans for Veterans are one of the best and safest methods to use when buying a home. California Home Loans of Santa Rosa, Ca provides VA Lending to Veterans throughout California, locally Santa Rosa, Petaluma, Windsor, Rohnert Park... Now even active duty personnel can qualify. If you are a Disabled Veteran, you may qualify for additional benefits on a VA home mortgage loan. The VA Home Mortgage Program does not limit the number of times a veteran may use the program. You do not have to put any money down to qualify for a VA Home Mortgage Loan for up to VA County Limits. If the seller agrees to pay the closing costs, you may be able to purchase the home with no out of pocket cost. The loan and sales contract can be set up so that the VA Home Mortgage Loan covers 100% of the selling price and the seller covers the closing cost.